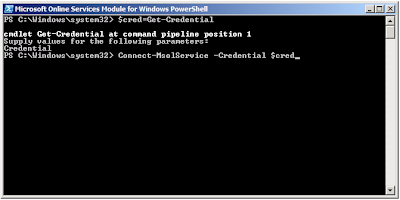 Once PowerShell is open, run $cred=Get-Credential. 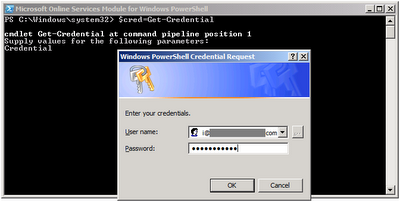 When the cmdlet prompts you for credentials, type your Office 365 admin username and password. 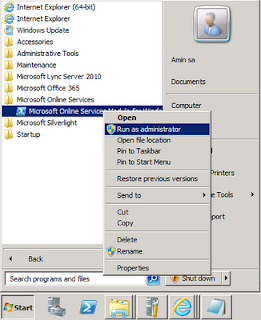 Run Connect-MsolService -Credential $cred. 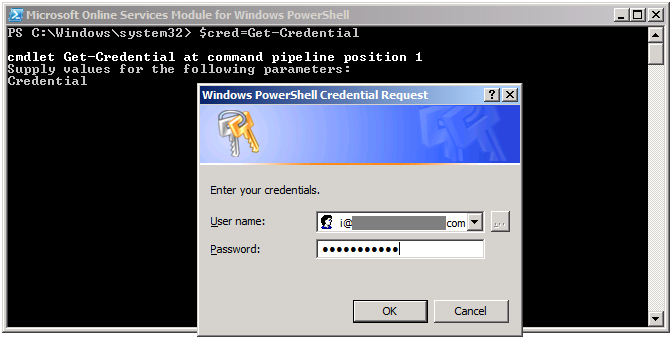 This cmdlet connects PowerShell session to your Office 365 account. Run Convert-MsolDomainToFederated -DomainName <yourdomain>, where <yourdomain> is a domain that you have already verified in your Office 365 account and want to use it for identity federation. This cmdlet changes the default standard cloud based authentication for yourdomain to single sign-on authentication. 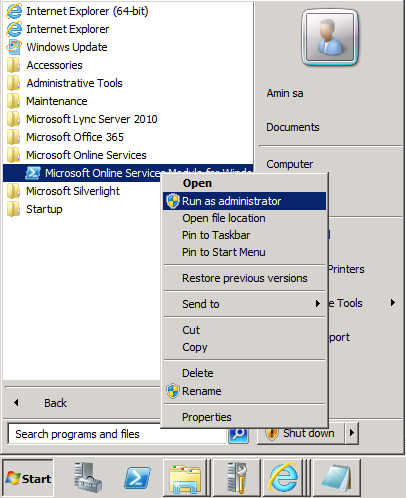 Now that you have converted configured your domain for identity federation, the next step for Single Sign-on is to set up Active Directory synchronization. What can be the solution? Thanks.